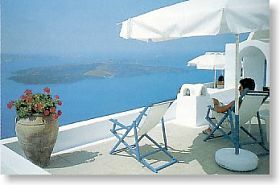 Vacation in Cyclades, is a complete guide for Cyclades and a hotel reservation system. In our pages you will find info for each island as well as a complete list of hotels with full description and rates for all budgets and tastes. In just two steps you will be at your destination. Start your search now and enjoy your journey. Press Ctrl+D to Bookmark this page. If you are a hotel owner in Cyclades and wish to enter this catalogue, please click here and find out the details. Cyclades islands are a group of islands of varying sizes scattered over the deep blue waters of the Aegean Sea. Some of them are well-known both to the public at large and the international 'jet-set', while others remain little known and scarcely figure on the tourist scene. taken as a whole, they make ideal holiday destination for visitors of the varied tastes. A fusion of stone, sunlight and sparkling sea, the Cyclades lie to the east of the Peloponnese and south-east of the coast of Attica; they stretch as far as Samos and Ikaria to the east, and are bounded to the south by the Cretan Sea. According to the most likely tradition, they owe their name to the notional circle which they appear to form around the sacred isle of Delos. 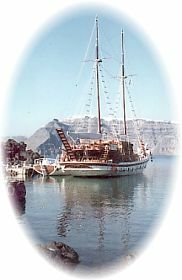 The Cyclades have exercised a powerful charm since ancient times, even though access to them was not particularly easy. This was the birthplace of one of the Mediterranean's most important civilizations, one which took its name from the islands: the Cyclades civilisation (3000-1000 BC). Geologists attribute the peculiar form which the Cyclades take today to a succession of geological upheavals-earthquakes, volcanic eruptions, movements of the earth's crust - which resulted in the submergence of large chunks of land. Many believe that one such stretch of island was the lost continent of Atlantis. The diverse outlines of the islands as they protrude from the blue waters of the Aegean, bathed in the dazzling sunlight and embellished with little white houses, resemble, in the words of the Nobel Prize-winning poet Odysseas Elytis, "stone horse with rampant names". Above all, the people who live here, with their own individual approach to the world, bring to life the narrow alleyways of the villages and the pathways of the countryside, the countless tiny chapels, the windmills, the dovecotes or the wind-beaten hillsides and are themselves a basic feature of the charm which these possess. Yet, in spite of the characteristics which the islands have in common-sparkling sea, sun, the landscape and the austere line of the architecture - each retains its own individual features, which visitors can discover as they explore them one by one. The Cycladic islands enjoy a Mediterranean climate, with an average temperature for the year of 18 - 19 oC. The winters are mild and the summers - by Greek standards - cool, thanks to the beneficial effects of the seasonal winds known as the 'meltemia'. 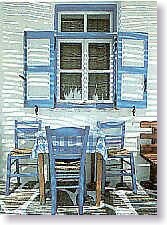 The Cyclades gather approximately the 60% of the tourists coming to Greece each year. Take a look at the islands and you will find out why.